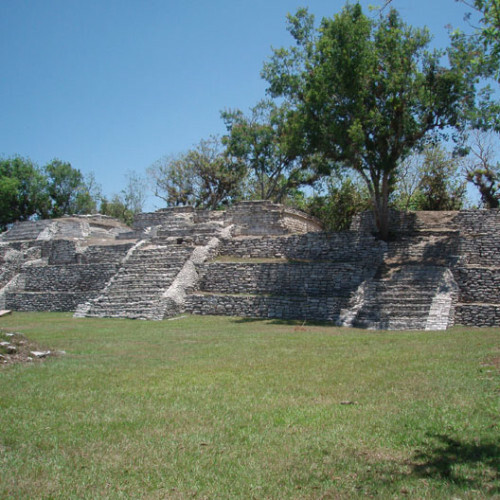 Plan for adventures along the Ruta Maya. 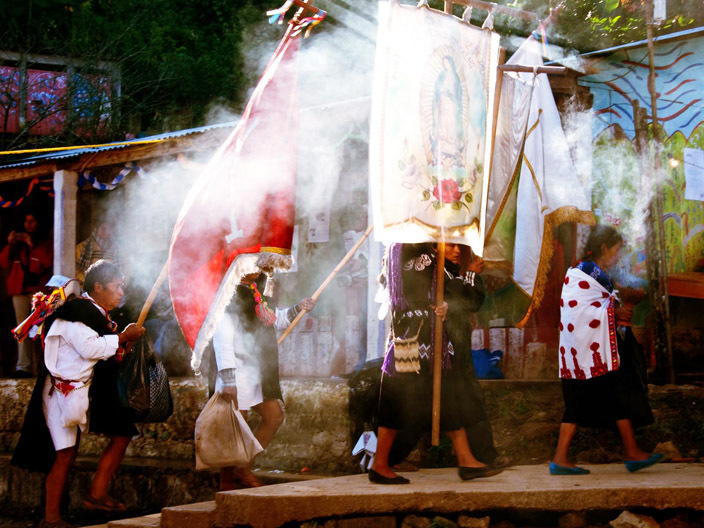 San Cristóbal de Las Casas is strategically located within the magical land of the Maya. 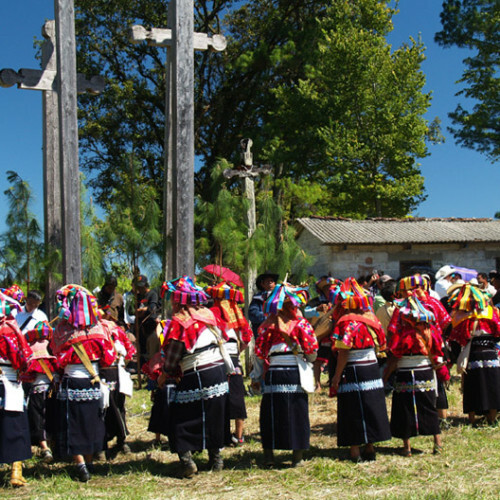 Day trips and longer adventures farther into Chiapas bring travelers closer to understanding and appreciating their rich past and present cultures. 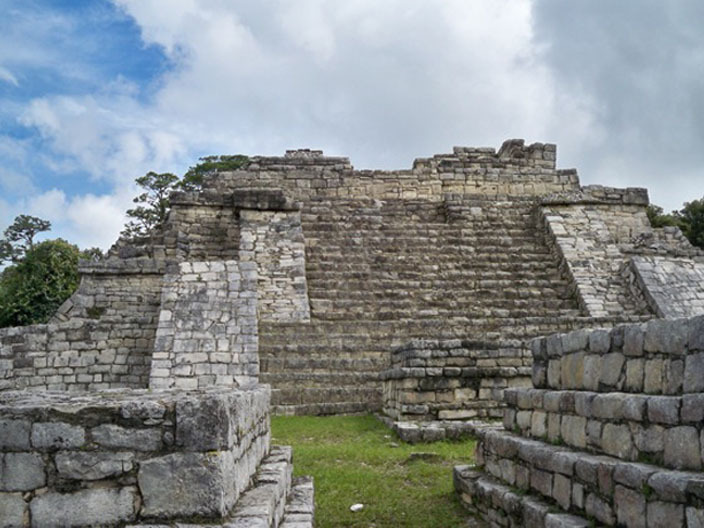 The Ruta Maya’s 1,500 mile route connects San Cristóbal to sites that belonged to a civilization that had more cities than ancient Egypt and to pueblos where crafts have survived over 3,000 years. This area is also home to vast tropical forests, huge numbers of animal and plant species, and rivers, waterfalls, and lakes. La Joya Hotel is a perfect starting and/or ending point for adventures along La Ruta Maya. We welcome the opportunity to help our guests plan day trips or longer journeys. Market days are particularly colorful and offer opportunities to see local produce and crafts as well as the beautiful indigenous clothing that distinguishes each of the different communities. This Tzotsil village is 10km northwest of San Cristóbal. 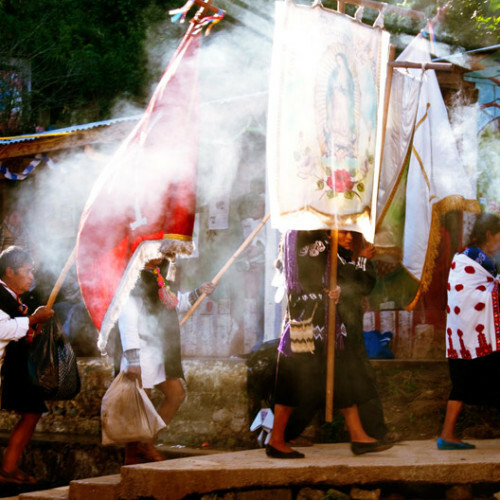 Its current church is popular with travelers who appreciate the rich Maya traditions combined with aspects of Catholicism. 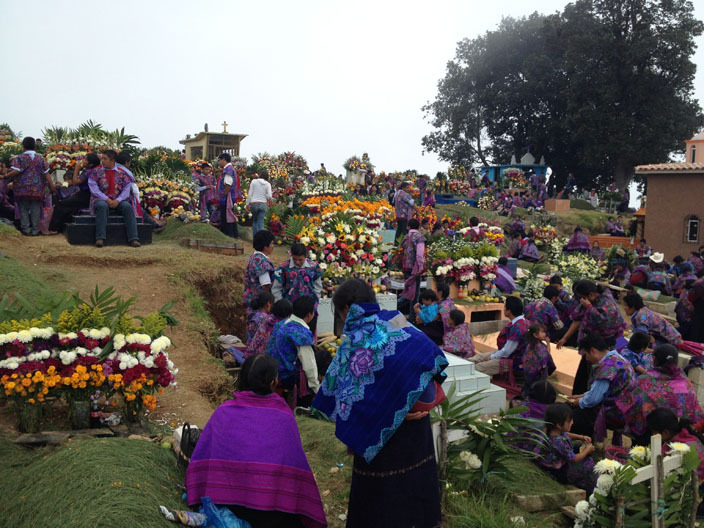 Locals sit on a carpet of pine needles as saints adorned with colorful robes watch over the faithful. Candlelight and the strong smell of copal add to this out-of-time experience. You may want to avoid visits on Wednesday as the church is usually deserted on that day. Festivals and the Sunday market are particularly colorful. Reserve 3-4 hours for this trip, especially if there is a celebration or if you combine this trip with a visit to Zinacantan. For a full day, add San Pedro Chenalho and/or San Andreas Larrainzar to your itinerary. 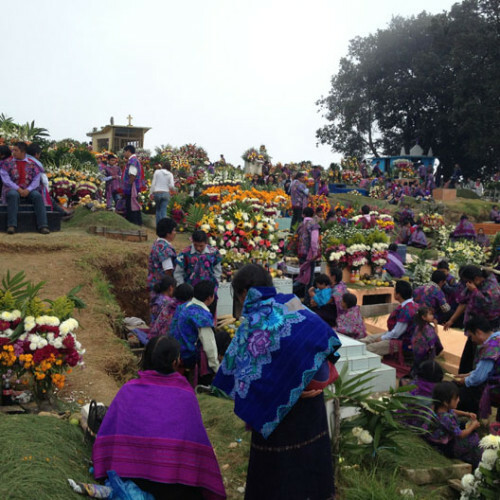 Zinacantán is known for its gorgeous flowers and clothing that the men, women, and children wear. The beautiful color combinations and flower patterns change every year and sometimes for every celebration. Weavers welcome visitors into their homes where they display items for sale. The cemeteries on the hill are stunning just before dusk when the light bathes the headstones and crypts in blue. Allow 3-4 hours, especially if you combine your trip with a visit to San Juan Chamula, 7km east of Zinacantan. For a full day, add San Pedro Chenalho and/or San Andreas Larrainzar to your itinerary. 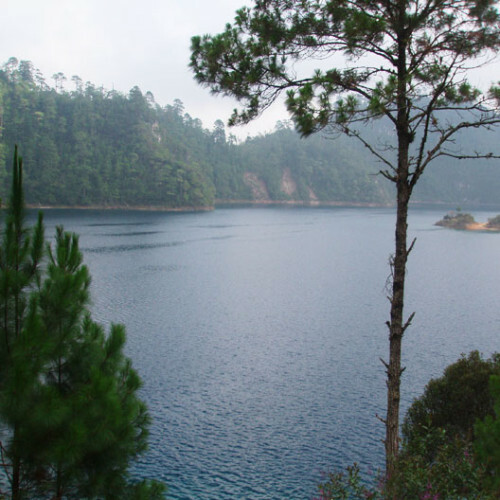 This small and peaceful Tzeltal community is a beautiful 28km drive east of San Cristóbal. Known for its weavers, it also has a lively market day on Thursdays. Visit the women’s cooperative on the right as you go down the hill to the town square. On the way to Tenejapa is the Romerillo cemetery where huge blue wooden crosses are lined along the ridge and graves are topped with doors through which families speak to their deceased loved ones. Amatenango del Valle lies in a beautiful valley 37 km southeast of San Cristóbal. 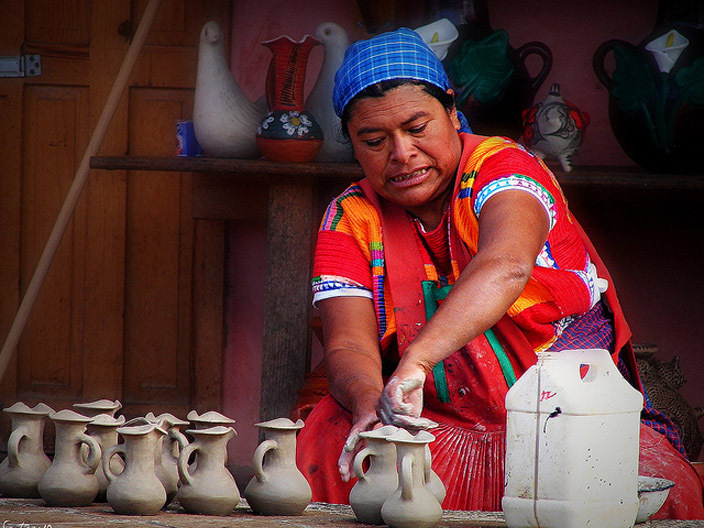 This Tzeltal village is known for its pottery. 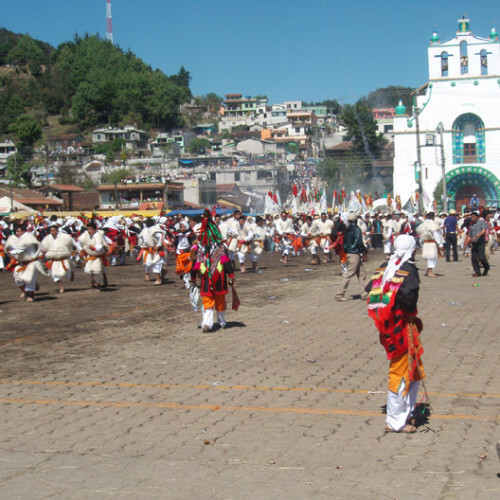 Another 16km from Amatenango is Aguacatenango where white on white embroidery enhances blouses, shirts, and tablecloths. The Dominican church reflects the simplicity and beauty of this community. Lunch is a treat at “Mi Café” between Teopisca and Amantenango. Visiting both towns takes 5-6 hours. Don’t miss the Sunday market in this Tzotzil village high on the pine and oak-forested hills 33 km from San Cristóbal. 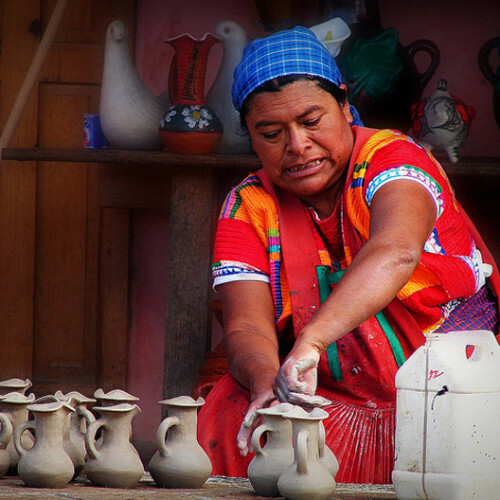 Hundreds of people come from neighboring villages, but few tourists visit this area, so it is a unique opportunity to experience an indigenous market. 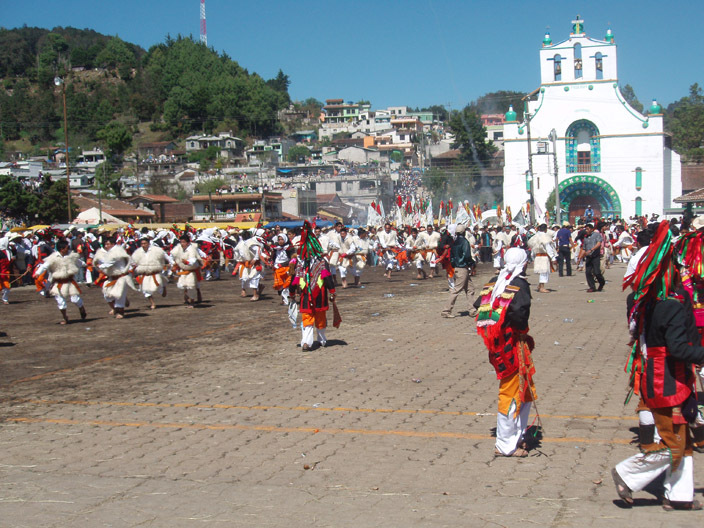 San Pedro Chenalhó is a Tzotzil village 34 km north of San Cristóbal. It is located along the banks of a stream and is known for its textiles and colorful religious festivals. From the church that sits high on a hill, you can see beautiful views across the valley. 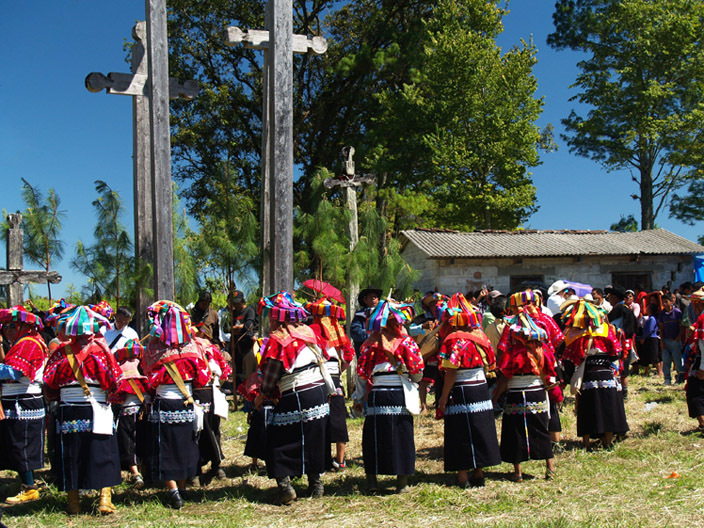 Chenalhó is a great addition to a trip to Chamula and Zinacantan. These two sites offer nature, history, and culture all in one day. An hour’s drive through the beautiful mountains brings you to the Grijalva River where small boats take visitors through the impressive canyon. Rock walls rise 100 to 1,000 meters. 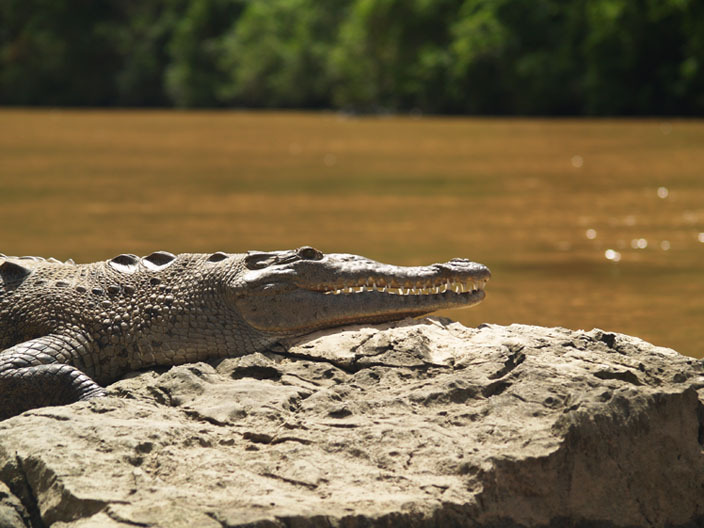 You may see monkeys, grey herons, fresh water pelicans and cormorants, and families of crocodiles. 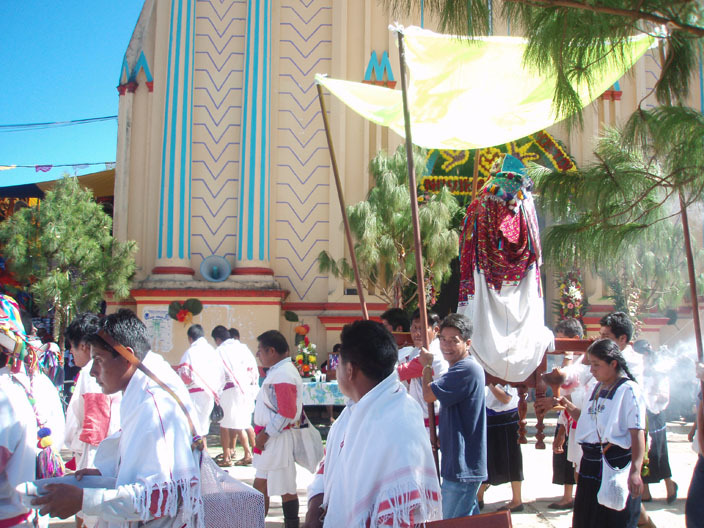 Close by is Chiapa de Corzo, the first community in Chiapas settled by the Spanish in the early 1500s. The town is known for its architecture, natural springs, detailed lacquered gourds and boxes, and an unforgettable week of celebrations in January. Allow at least 6 hours for this trip. 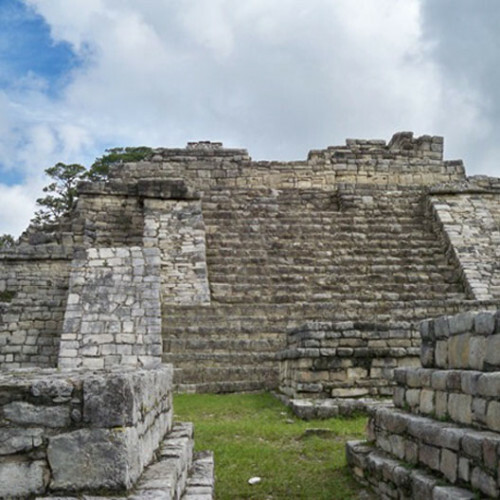 These beautiful ruins lie approximately two hours from San Cristóbal and offer a unique opportunity to explore Maya ruins without throngs of tourists. 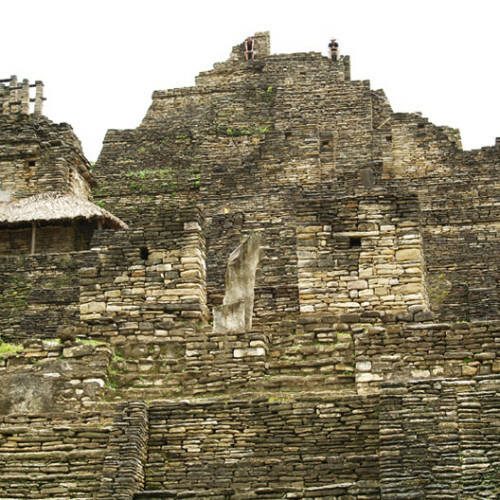 Unusual in its structure of small rocks that climb a steep hill, this ruin is not considered a true pyramid but a series of terraces. The history of Tonina’s conquest of Palenque is significant, and you can see the carvings of conquest in the small and attractive museum. It is closed on Mondays. The “queso de bola” that you can buy in Tonina or Ocosingo is a treat. 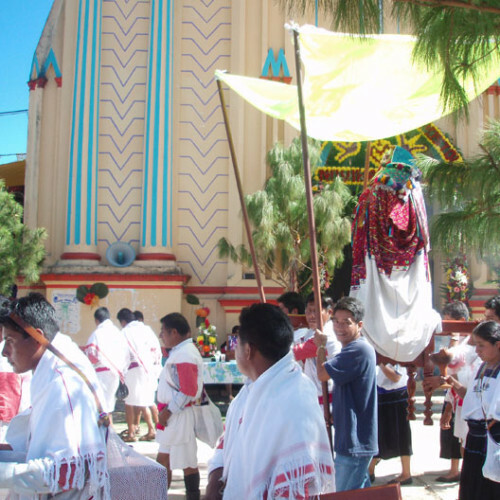 To or from Tonina you can also visit Oxchuc for a look at its historic Santo Tomas church. You can easily spend 8 or more hours driving through beautiful country and enjoying the peaceful ruins. 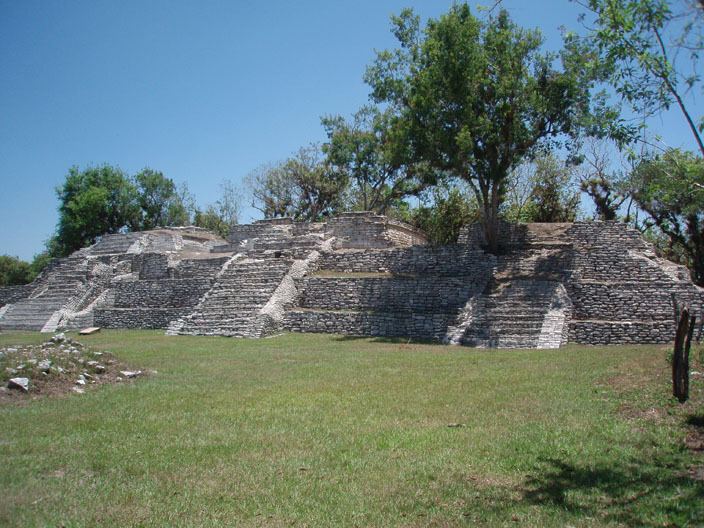 Two hours southeast from San Cristóbal is another Maya archeological site. Chinkultik offers quiet vistas from this often deserted setting. Approximately 20km from Chinkultik lie the beautiful Lakes of Montebello. They are a part of a national park of more than 50 lakes. 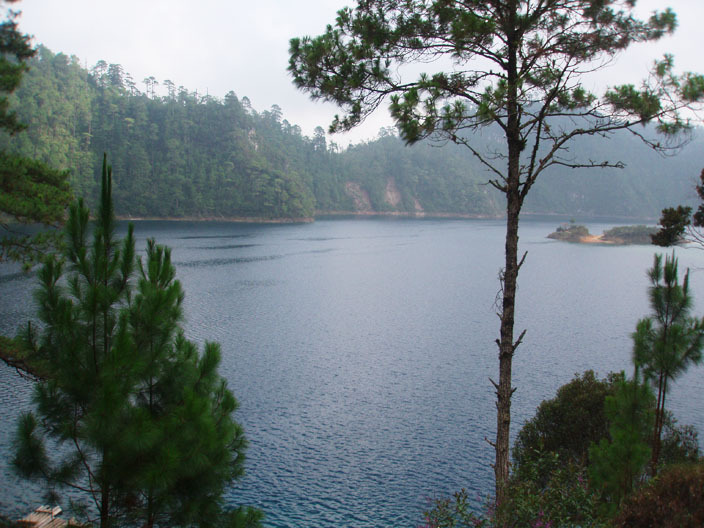 The group of five lakes most often visited has colors that range from turquoise to malachite green. Rent wooden plank rafts and float lazily across the lake. Take a late lunch at the former hacienda Parador Santa Maria to add a wonderful finishing touch to this beautiful journey that lasts approximately 10 hours. 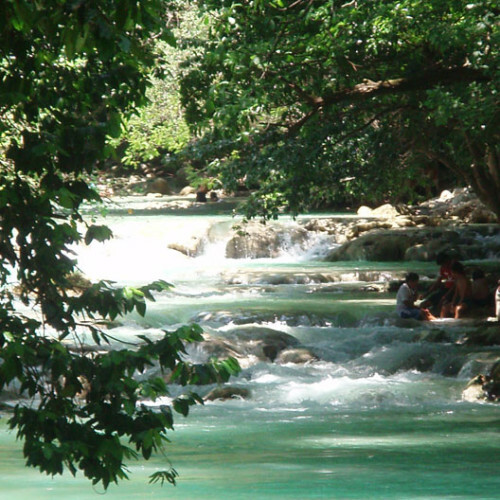 Two hours southeast of San Cristóbal is the beautiful chain of waterfalls that are formed by the San Vicente River. 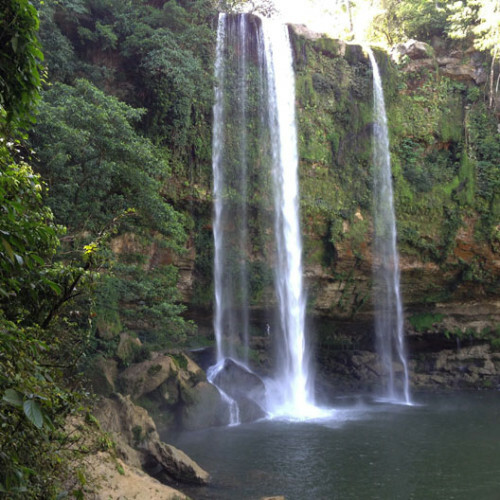 The 120 meter Velo de Novia offers the adventurous an opportunity to hike up to the side of the waterfall, swim, and take a zip line across the water. 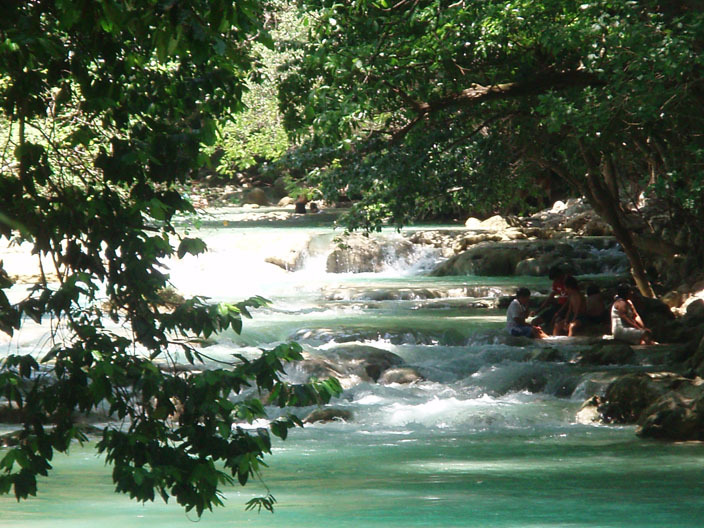 There are also popular places along the river where you can swim and enjoy a picnic. 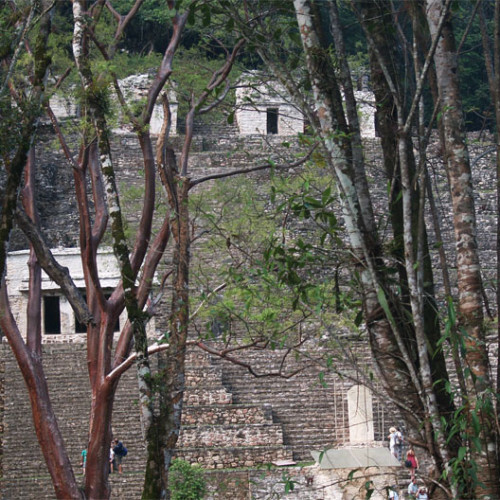 Continuing 40km farther are the Maya ruins of Tenam Puente, another site that is rarely visited by tourists and offers a quiet place to sit under the trees. On the way back to San Cristóbal it is possible to stop in the colonial town of Comitan for a late lunch. This trip takes approximately 8-10 hours. 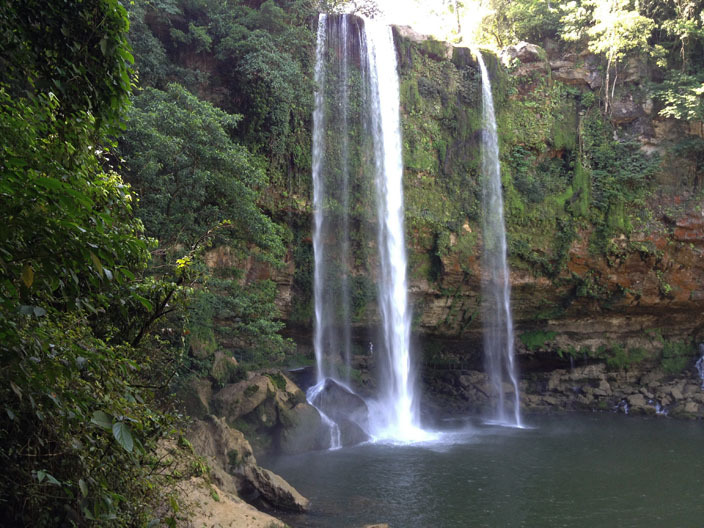 As you travel Northeast from San Cristóbal towards Palenque, stop for a hike or rest at the magnificent waterfalls of Agua Azul. 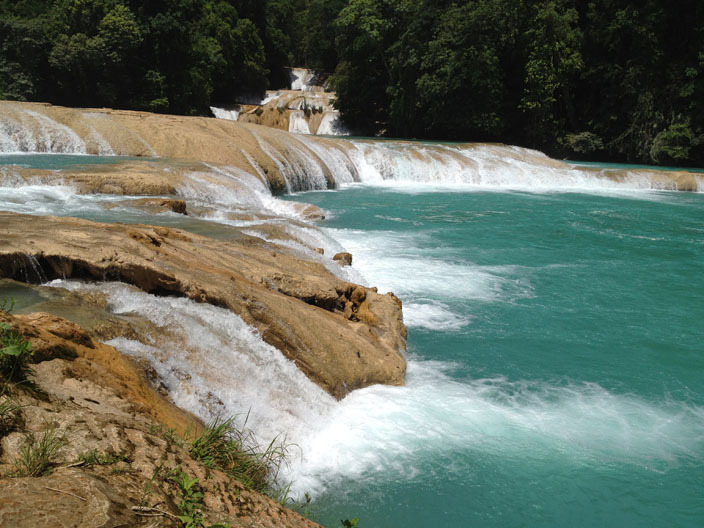 Except during the rainy season, the pools are a beautiful turquoise. While the site is crowded during the weekends and vacation times, it is relatively quiet during the week. There are pools where swimming is allowed during the months when the current isn’t raging. There are also places to eat and buy souvenirs. 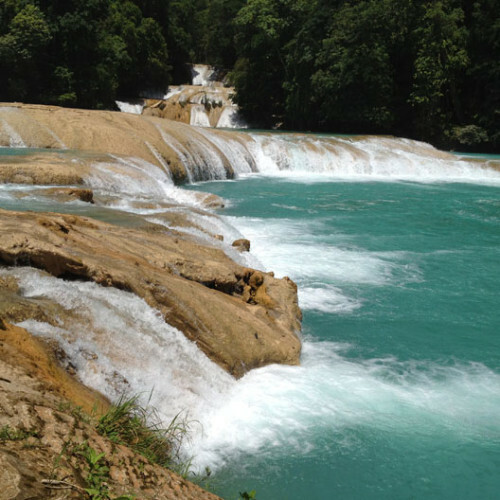 Just 25km before Palenque is the beautiful Misol-Ha waterfall which cascades 35m into a wide pool surrounded by tropical vegetation. You can make a short stop to see the waterfall or take more time and walk behind the plunging water where there is a cave with another waterfall. 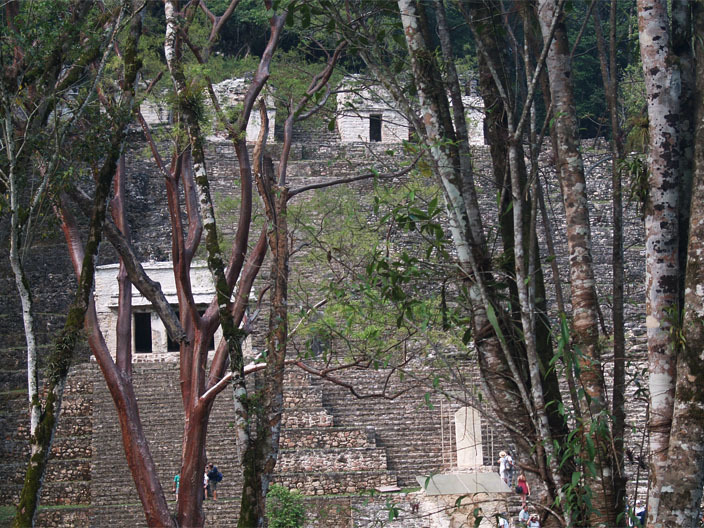 Palenque is one of the best examples of Maya architecture and a major destination for tourists. The soaring temples deep in the jungle were once an important ceremonial and artistic center until the site was abandoned around AD900. There is a museum and several places to stay near the park entrance where you can hear the howler monkeys in the evening and at dawn. While you can make this trip to the three destinations in a day, it’s a strenuous before-dawn to after-dark journey in a private or rented car. 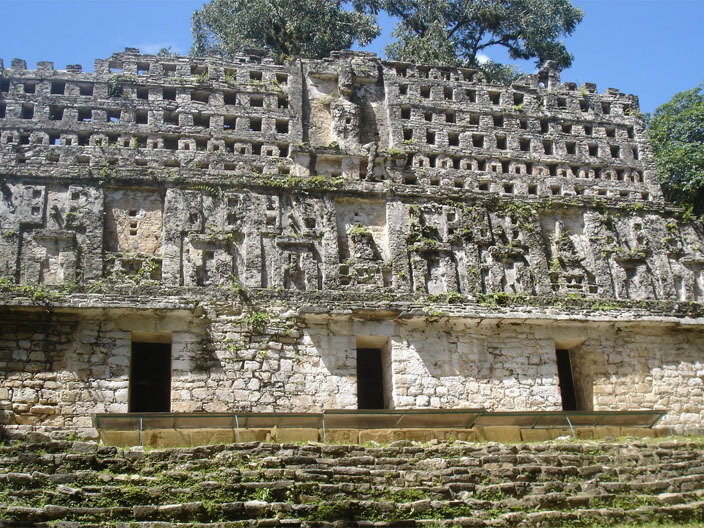 Another option is to spend the night in Palenque and return the next day or go on to Bonampak and Yaxchilan, adding an additional one to two days. 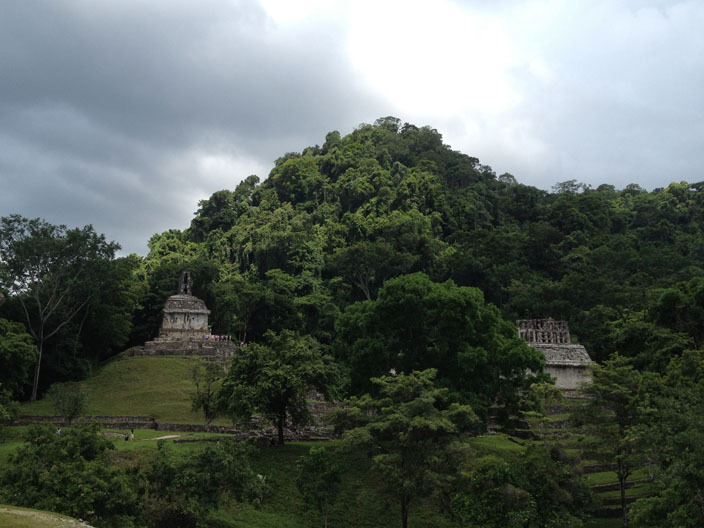 These Maya ruins lie towards the Mexico-Guatemala border. 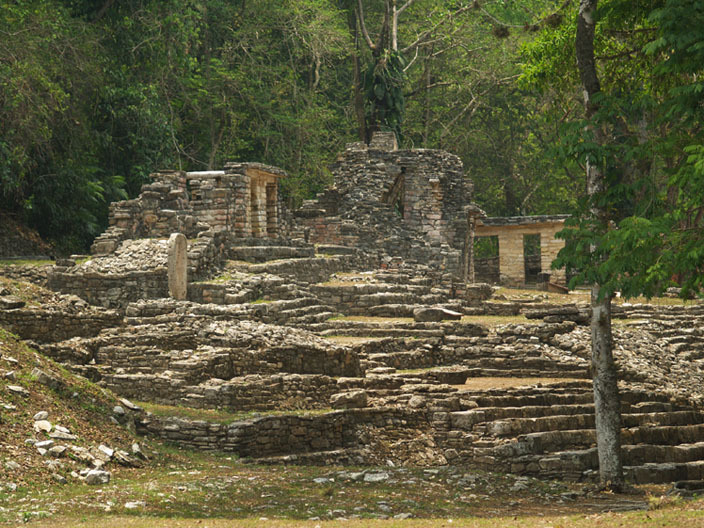 Bonampak is 148km from Palenque on a good road that passes through beautiful pasture land. 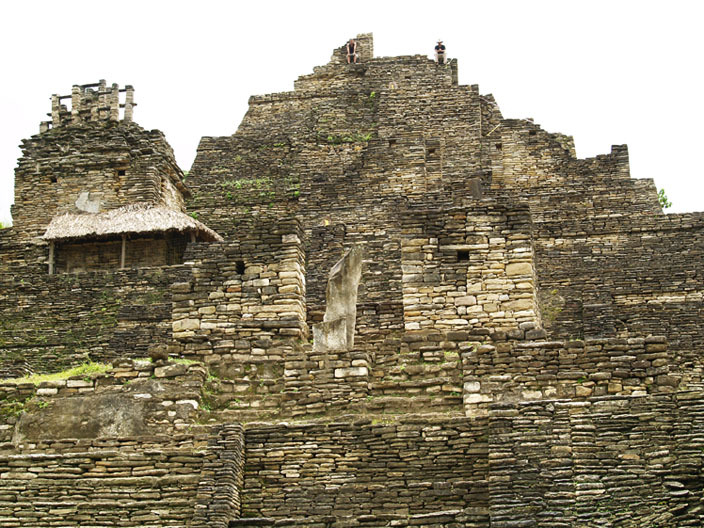 Yaxchilan is a short distance from Bonampak and accessible by boat up the Usumacinta River which forms a border between Mexico and Guatemala. 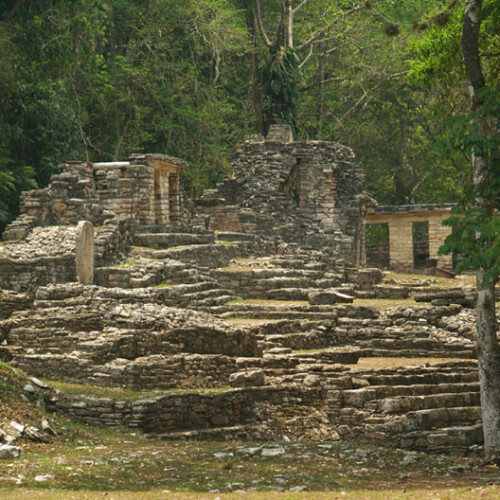 Bonampak is known for its stunning frescoes. 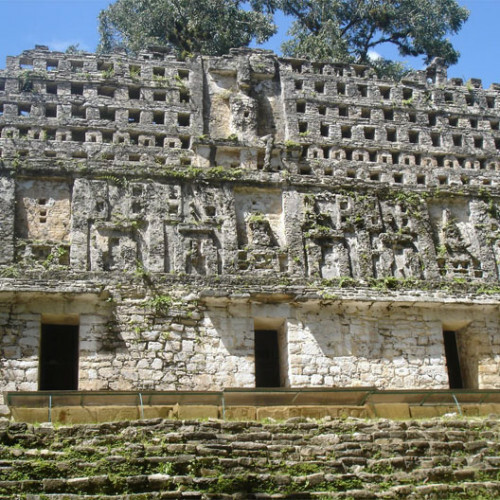 Yaxchilan is much bigger with stellaes and bas reliefs in a beautiful setting beside the river. 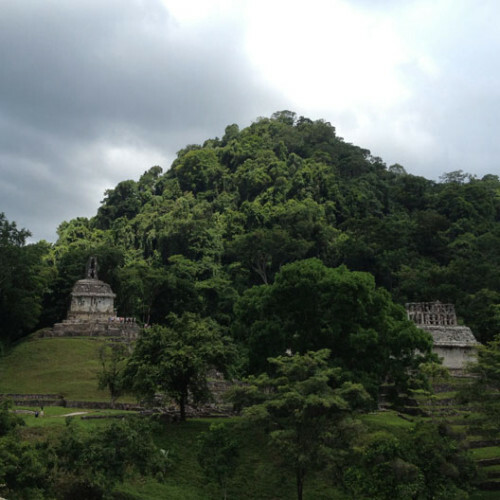 There are a number of tour agencies that take day trips from Palenque to these two ruins. 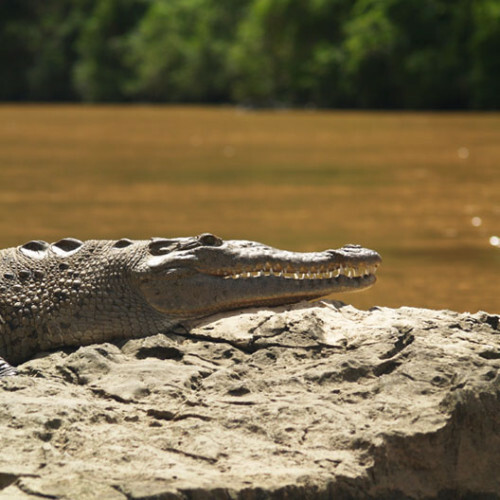 You might also consider taking a three to four day trip from San Cristóbal to Tonina, Agua Azul, Misol Ha, Palenque, Bonampak, Yaxchilan, and back to San Cristóbal via Palenque or via a western route.